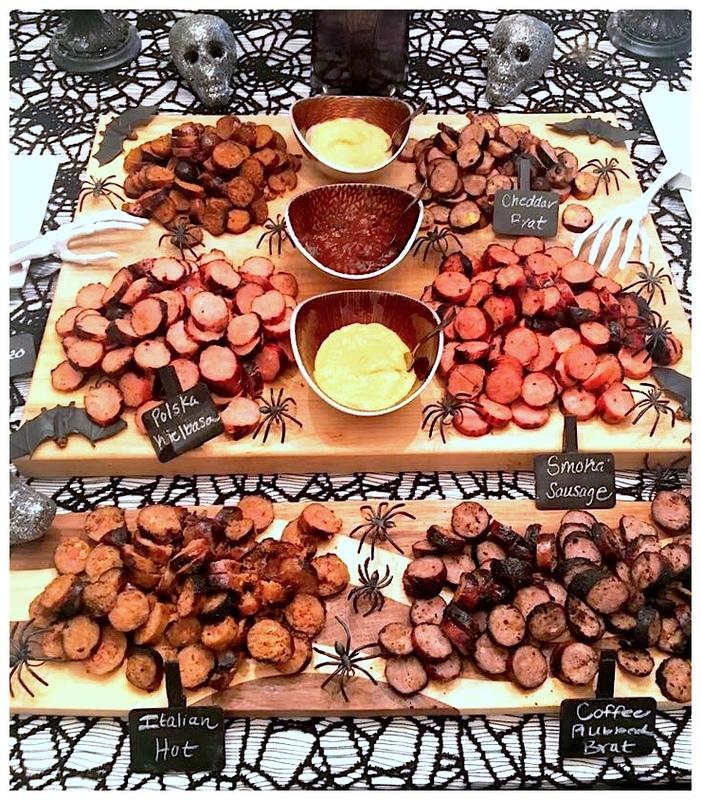 Introducing #2 of 5 Halloween Meat and Cheese Boards to inspire you to entertain this month: the Spooky Sausage Board happens to be one of my favorites! 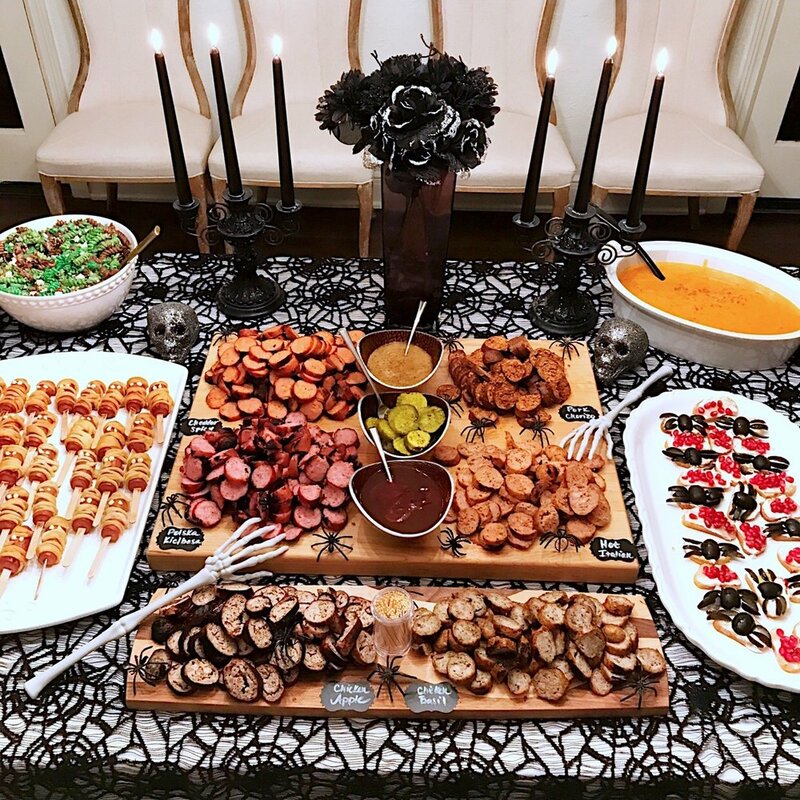 I make this one for our Halloween party every year because it feeds a lot of people at a lower cost - we've had close to 100 people at our Halloween party before so this big board of meat comes in handy. It's also a lot of fun for friends to get a "flight" of different sausages to sample. Plus, it's the perfect centerpiece for an erie Halloween table. Make sure you get all the props: skull heads, skeleton arms, and plastic spiders - all also low cost at any dollar store! Grill all sausages until fully cooked. Place each kind together on a separate plate - make sure you label each plate so you don't forget which sausages are which. When cooled, slice each sausage into pieces and set aside on the same plate. Spoon sauces into small bowls. Place pickles into another small bowl. 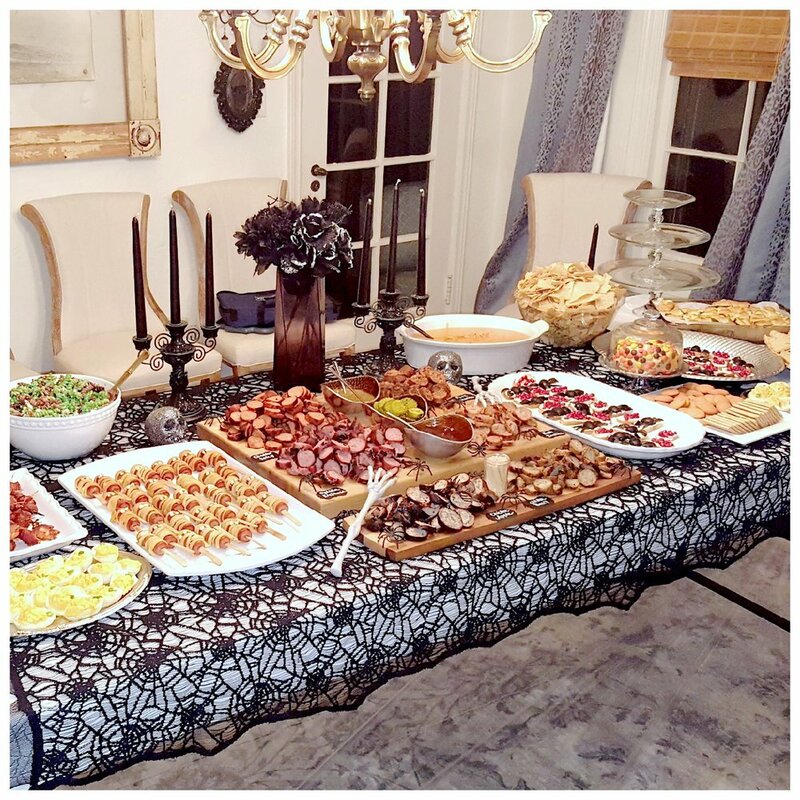 Line the bowls down the middle of the board or your table. Arrange sausages on the board or boards, keeping like sausage together. Label each sausage. Decorate with skulls, skeleton arms, and spiders. Add container of toothpicks to the side or on the board.